Buy your Favorite Wines at your Leisure while enjoying our best discounts and privileges! 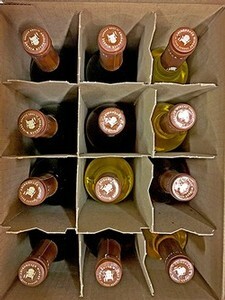 EASY to JOIN: Just buy 1 Case (12btls) at our regular discounts and you're automatically enrolled. Your Case Club Membership Benefits become active for the remainder of the calendar year! EASY TO STAY: Just buy 1 Case (12btls) using your Club Member Discounts each December and your Membership stays active for the entire following year!